Today we decided to share some of our favorite series quotes with you! Check it out and let us know your favorites! Yeah, but keep in mind,these are just some of our favourite quotes. I have a lot more to share with you in the future. 5. "Just because I tell you things doesn't mean you're allowed to know hem." (The Vampire Diaries). 7. Carol Peletier: "You can never tell anyone, especially your mom. Because if you do one morning you'll wake up and you won't be in your bed." Sam Anderson: "Where will I be?" Joey: "We don’t know how long we’re gonna be stuck here. We might have to repopulate the world." 18. Rachel: "Hey, Mon, look, I’m melting butter." 20. Howard: "Since we all agree Episode 1 isn't our favourite, why not just skip it this time?" This cheered me up this morning. :) I love quotes and inspiration. I agree with Gary Vaynerchuck "Inspiration is the best drug," they get us going, or laughing, and help us out of bed in the morning. Well, at least that's what they do for me! Thanks for this post. I enjoyed it. I too found a smile on face, which was really needed today! Thanks! I love Grey's Anatomy and Game of thrones! I remember them saying these quotes. The other ones are also good, I know I can relate. Nice post here on quotes. One thing I do notice and like on TV series is that in nearly every episodes of the shows I watched, especially the new ones, there are lessons that could be taken. Even in movies. From your list, I like "From this moment on you are a rock. You absorb nothing. You say nothing. And nothing breaks you." Because that is exactly how one should go about to accomplish a goal. The alternative should never be allowed to happen. Sounds just like Harvey to me, and I love the bones of that guy! i laughed at liv's number 20. sheldon always make me laugh in big bang theory. Reading about Charmed really brings back a lot of memory. I used to love watching it! And Buffy too! Wow! Thank you so much for this post!! All of your chosen quotes are really great. This is the quote that caught my eye. "Ever loved someone so much you would do anything for them? Yeah, well make that someone yourself and do whatever the hell you want." It was nice to read great quotes. 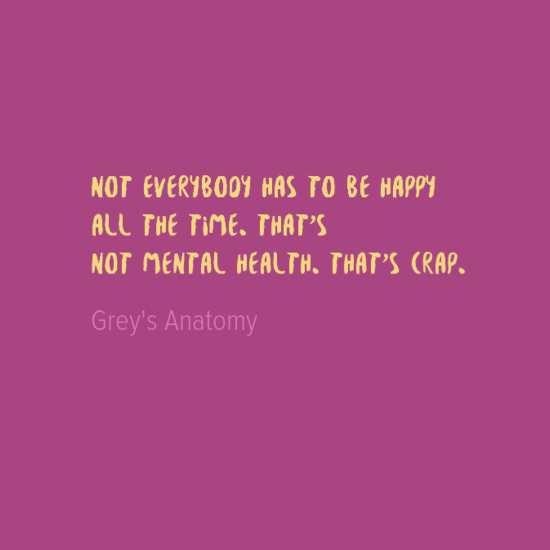 My favorites are the ones from Grey's Anatomy, House and TWD. Woah! There's so much words to ponder. If I had to pick a favorite quote I would be lost. There are so many and probably a big favorite is from a few good men by Jack Nicholson. I love the charmed quote and oh so true. A lot of these quotes are from American tv which I don't watch. I used to watch The West Wing when it was on. That had some great one-liners! For the liv, I pick 11. Great list of quotes Carola! I love all of The Walking Dead quotes. Great show. Do check out Mr. Robot (sleeper hit) if you haven't already ;-) Take care.. I love quotes in general , there are some great ones on here . I was just wondering , how much time do you spend in front of the TV ? LOL Are these all from tv series ??? Nice list! I love the one from Gossip Girl: "I'm not a stop along the way. I'm a destination"
That should be the mindset of all girls in the world!!! You have such an awesome list. Reading these made me picturize all these amazing moments. Joey's Moo Point was just so funny and awesome. I guess, it just wasn't Rachel but it actually made sense in a weird way. Lols. I'm not really a fan of tv series. But this quote collection is really something worth reading. Who knows we can get a lot of encouraging quotes from them. They're not just entertaining, but encouraging as well. I love Buffy's quote by Spike, I miss Buffy!! It reminds me so much of my childhood:) These quotes are very good, even though I haven't watched some of these TV shows. I'd still have a hard time picking a favorite from all the stuff I watch though hah. The wrong thing done for the right reason is still the wrong thing. It's true, we can't correct anything by doing something wrong. It just makes the matter worst. However, sometimes we feel like we had to do it, like we had no choice.